The nature of scientific activity has changed dramatically over the last half century, and the objectivity and rigorous search for evidence that once defined it are being abandoned. 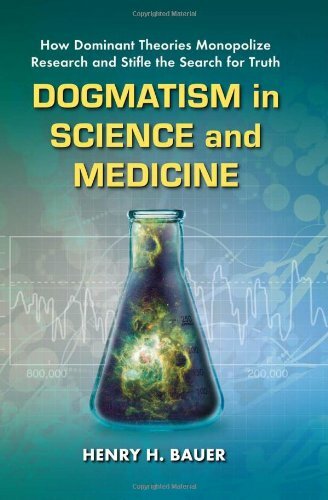 Increasingly, this text argues, dogma has taken the place of authentic science. This study examines how conflicts of interest--both institutional and individual--have become pervasive in the science world, and also explores the troubling state of research funding and flaws of the peer-review process. It looks in depth at the dominance of several specific theories, including the Big Bang cosmology, human-caused global warming, HIV as a cause of AIDS, and the efficacy of anti-depressant drugs. In a scientific environment where distinguished experts who hold contrary views are shunned, this book is a welcome addition to the examination of scientific heterodoxies. "Recommended"--Choice; "a most worthwhile book...well-researched"--Social Epistemology Review and Reply Collective; "explores how heterodox ideas are suppressed or ignored by professionals claiming to be open minded and objective"--Reference & Research Book News.